Last week I attended the CUPSO (Conference of University Public Service Organizations) at the University of Delaware in Newark. Jeff Hughes attended to make a presentation and John Stephens did a poster session—Janet Holston also was there to learn about the work of colleagues at other universities. The conference was hosted by the Institute for Public Administration, a part of the School of Public Policy & Administration. They did a wonderful job. It was fascinating to learn about Delaware and the politics in a state with three counties, and that is only 92 miles from one end to the other. They talk proudly about the “Delaware way,” which is the idea that they can get all of the right people in one room and get things done because the state is so small. They also have a “bury-the-hatchet” ceremony after each statewide election in which the winning and losing candidates ride together around a town square and then the party chairmen grab a hatchet together and together plunge it into a box of sand. It would be nice to think that folks in Delaware have cracked the code on political civility, but my guess is that the reality is more complicated. I enjoy attending CUPSO to learn about the programs and activities at the different public service centers and institutes. For most of its history CUPSO was centered in the South, but in recent years it has developed a national membership (thanks largely to the leadership of our own Brian Dabson). A sign of how much things have changed is that the new officers are from Portland State University and Witchita State University. This year there were interesting sessions on training and certificate programs, data visualization, public engagement, and internship programs (including legislative and judicial). Every year I hear something that makes me think harder or in a different way about what we do or how we do it. This year was no exception. I was listening to a session on training by Stacy Jones, who leads the Governmental Training, Education and Development Division at the University of Georgia’s Vinson Institute of Government. They have a number of professional staff members who provide training, and they contract with other professionals to provide other instruction as needed. Stacy mentioned that the Vinson Institute is providing online training for Georgia public officials. She is responsible for identifying training needs and then developing programs to address them—and she determined that Georgia officials wanted online training and she made it happen. The existence of a training division with a training director means that there is someone responsible for taking a comprehensive view of training—what is needed and how it is delivered. It made me think about how we would approach whether to offer online training for North Carolina officials. It is not any one person’s responsibility, and our completely decentralized model makes it difficult for an individual faculty member—or even a group of faculty members—to move in that direction. I left CUPSO thinking that our overall training program could benefit from a similar structure and leadership. The School’s training portfolio is the sum of individual faculty decisions in different fields, and that has served us well. At the same time, however, it might be possible to close gaps in training and add needed instruction if we created a training division like Georgia’s to complement the work of faculty members. The existence of Stacy’s position gives the Vinson Institute the ability to be more flexible and responsive when there is a need for training in a new area. What if public officials have a need for training or information in a particular area, such as the nature of the opioid problem in rural communities? Or local public information officers ask us to develop a training program for them, which happened in the past. If we don’t have a faculty member in a particular field, it is much harder for us to create customized courses to the same extent as the Vinson Institute. Stacy can pull together a team of experts in the field, develop a course, and offer it quickly for Georgia officials. The Vinson Institute has a reputation in Georgia and nationally for providing excellent training. They do great work and have a wonderful Director, Laura Meadows, who has continued to advance their long and proud history during her tenure. I can imagine that a training division at the School under the right leadership could provide instructional support for faculty and offer first-rate training that is needed and currently unavailable. There are many questions and issues to consider, including questions about quality control, but none of them make me think it would be a mistake to explore our options in this area. In fact, I think it would be a mistake not to consider whether and how a centralized training function might advance the School’s mission. 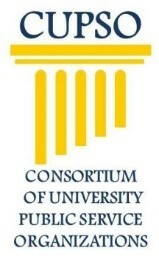 Coincidentally, next year’s CUPSO conference will be hosted by the Vinson Institute in Athens, Georgia on April 11-13. I hope a number of folks will decide to attend. We’ve been very client focused in our work; as you’ve said, it has good aspects. But it doesn’t foster lots of cross-fertilization of information or work on cross-cutting issues. It happens, but not consistently and takes a lot individual effort. I think this is a great idea – it would be wonderful to have someone in a coordinating role that could be a go-to person, or someone who would knock on our door with ideas – a ‘come-to’ person so to speak. That’s a great observation, Maureen. Our current model has enormous strengths, but it also leaves gaps, including in how we do our existing work. Anything that can help us better serve our clients is worth considering. I can see many advantages to the Vinson model. Thanks for sharing this with us. 1. Exploring and assessing SOG traditional client training needs is a worthy goal. It would be interesting to check with some client groups for their impressions about how well we are doing on keeping up on new developments. For example, do they seek some kinds of training from other sources? Is there really a gap as you guess there may be in what we do even with our de-centralized system? 2. Per the Vinson approach of using many contract trainers: is this an implication of what you propose? I know we have a range of experience with guest presenters in “our” programs, working with jointly developed programs via professional associations and, less often, fully contracting out. As you’ll see from the group of us developing a vision for the Center for Public Leadership and Governance we do foresee the need for more regular contractors for various training needs. But this could be a significant shift in terms of trying to be fast and nimble about training needs, and call for a different approach to quality control. 3. Would an SOG training division with a training director cover all training? A concern I have is whether this kind of a position will have the capability and legitimacy to interact with the SOG training providers (EPA and faculty) given the breadth of topics and expertise. Thanks, John. I’m a long way from answering all of your questions and so I won’t try to do it now. My assumption is that if we moved in this direction it would mean adding people to our staff who are full-time trainers and also using contract trainers too (both like Vinson). Just to be clear, I’m in no way proposing that current or future faculty members stop training. That would be a mistake for a host of reasons. I imagine we would head to a world that is a both/and model. It also is important to recognize that we have a fair amount of experience in selected ways with this model. As you point out, the Center for Public Leadership and Governance anticipates using more regular contractors, which is an extension of what we already do with people like Doug Bean, Jeff Richardson, and others. Plus Donna Warner, Lydian Altman, and Glen Barnes are examples of existing professional staff who provide first-rate training. Plus we use this model extensively with the adjunct faculty members who do a very good job of teaching in our online MPA Program. Without question, a major issue will be quality control. Another side to this issue is that adding regular, full-time faculty members as the only way to increase our capacity for serving public officials simply is not a sustainable model. I look forward to thinking and learning more about our options. I think this is a conversation we must have. We need to think hard about quality control and org culture issues, but am confident that the SOG would only follow the model to the extent that it retained high standards. I can see the potential value of such an administrative position in supporting faculty efforts to respond to external requests for new and expanded training programs. Count me among the first to volunteer to help you think through the options. I really appreciate it, Jonathan. I’m thinking about how to move forward and I’ll be back in touch.